Let your work shine with the Radiant fabric USB box. 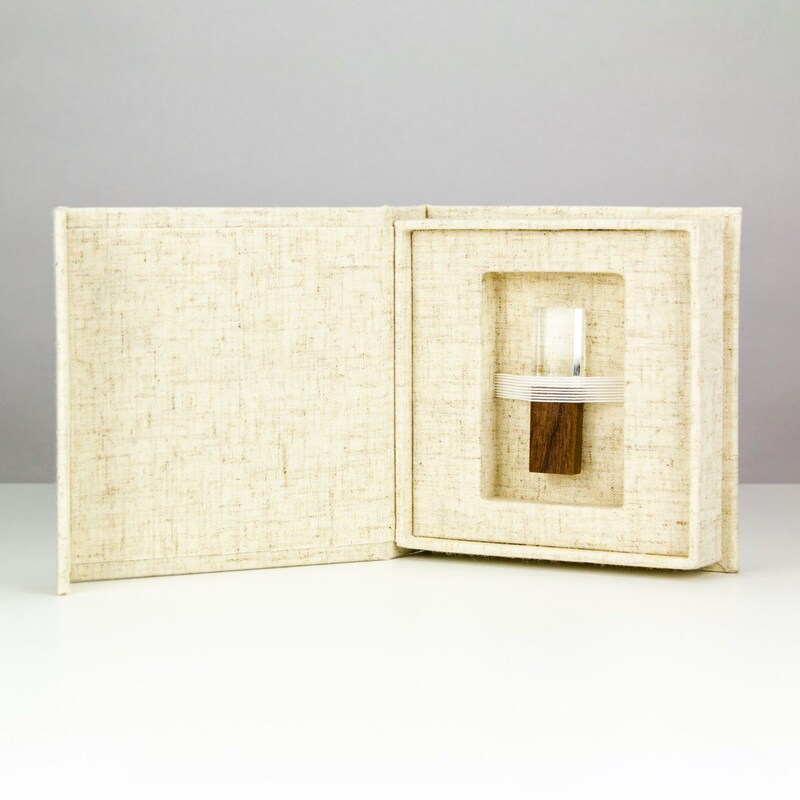 This presentation box offers convenient and attractive protection and storage for a wedding or custom flash drive. 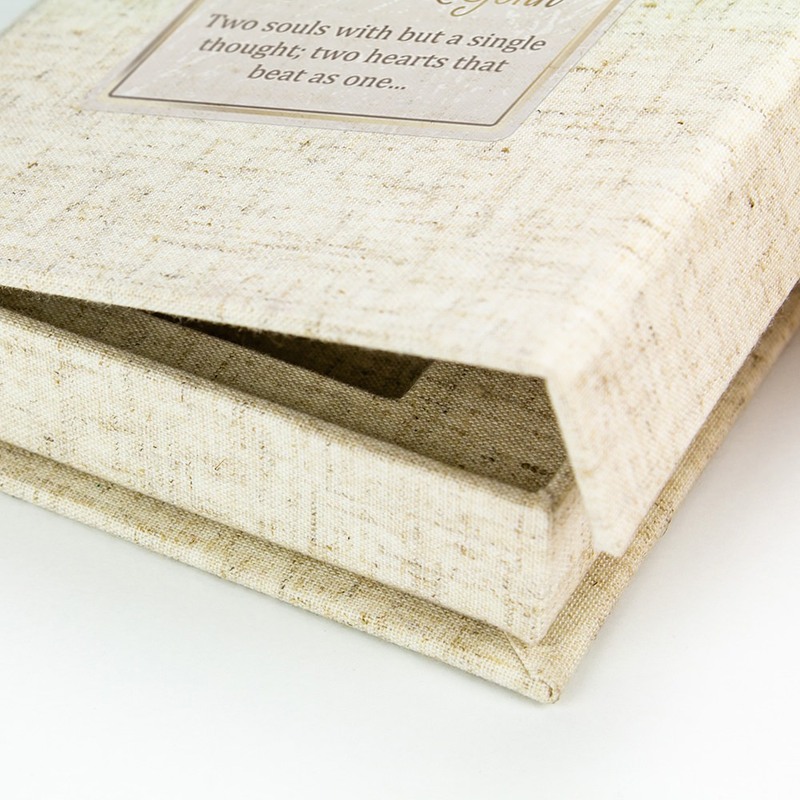 It holds up to one drive safely in its own compartment and comes wrapped in a beautifully fresh linen fabric. The Radiant is a superb USB packaging option for photographers looking to present their work to their clients. 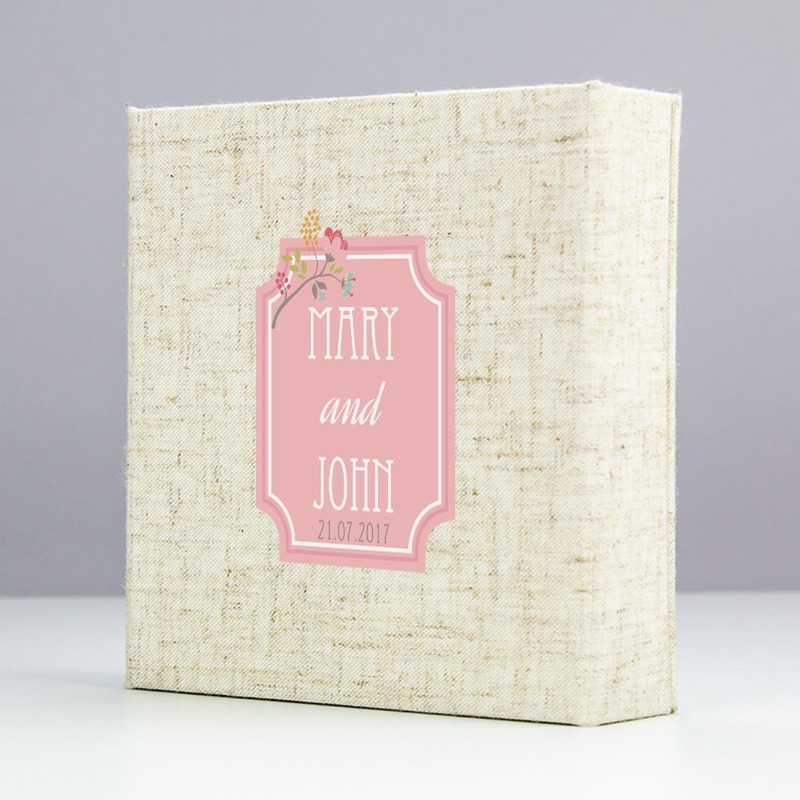 It comes in a fantastically versatile linen fabric inside and out. 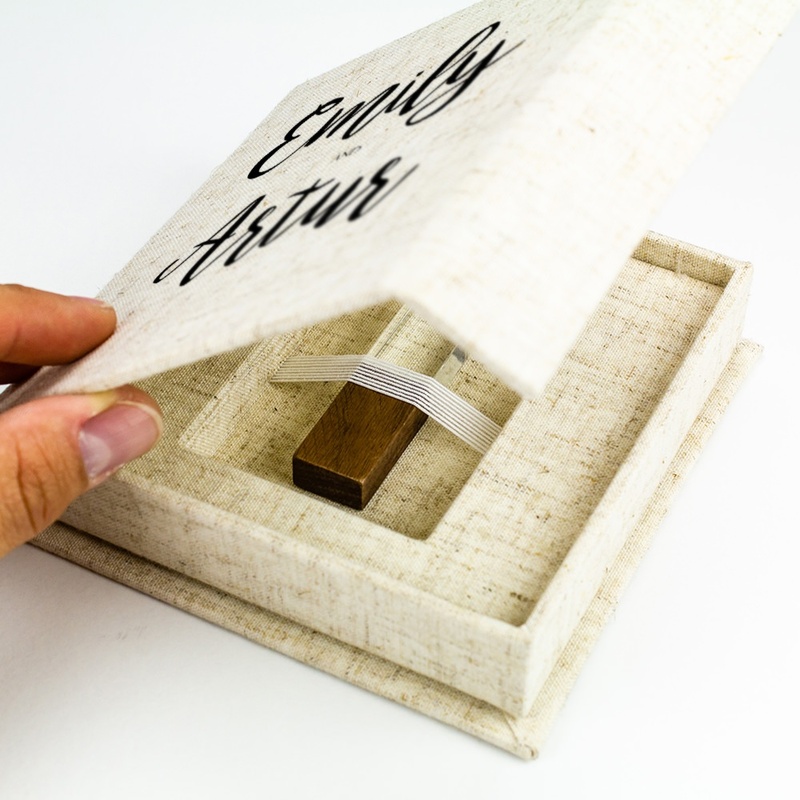 This simple box opens to reveal a flash drive compartment secured with an ivory elastic band. 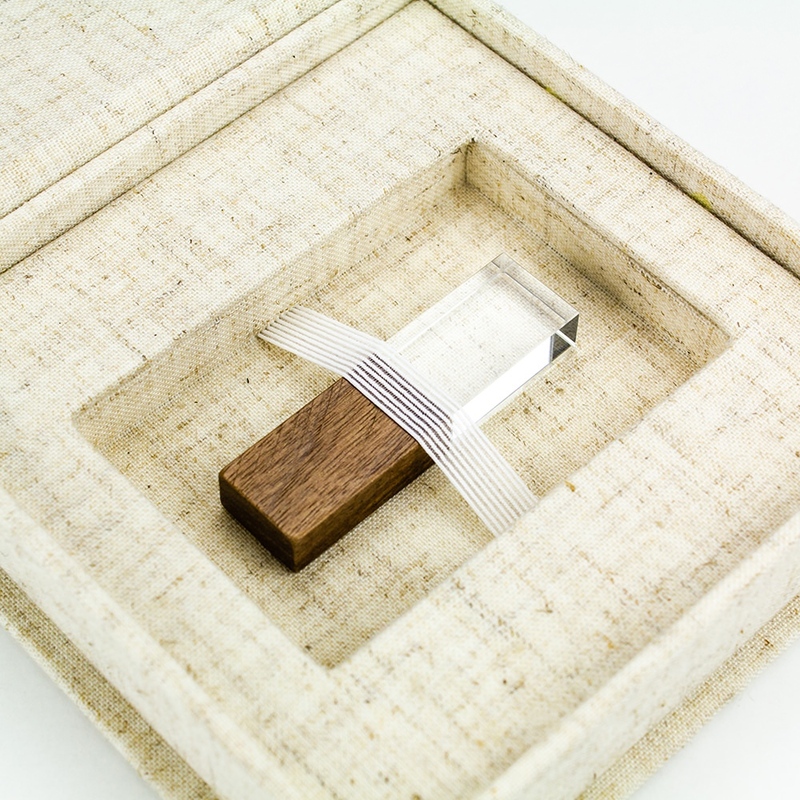 The box utilizes a magnetic closure to ensure it does not flip open unnecessarily. This is a great option for almost any occasion.